This is an oval Clipper Gasoline porcelain sign. This particular Clipper Gasoline sign is predominantly yellow with orange and yellow text. 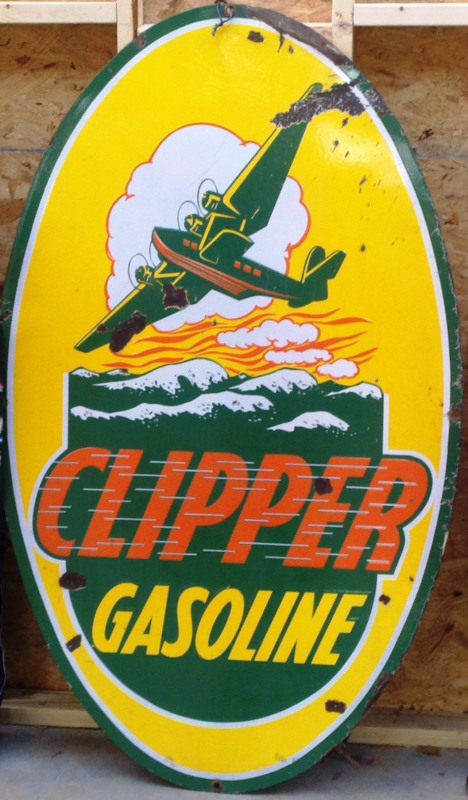 It reads, “Clipper Gasoline” and features a green airplane over some green ocean waves.